This work was originally produced for the ‘Book of Flowers’ exhibition at 55 Sydenham Rd, Marrickville, taking the flowers theme specifically into account. Given this, the work considers the military’s curiously repeated co-optation of naturalistic and ecological language in order to disguise the actual purpose of their hardware; the destruction of ‘enemy’ lives. The Daisy Cutter, sounding something like an innocuous domestic lawnmower, was first developed by the US for use in the Vietnam War as a method of ‘instant jungle clearing’. 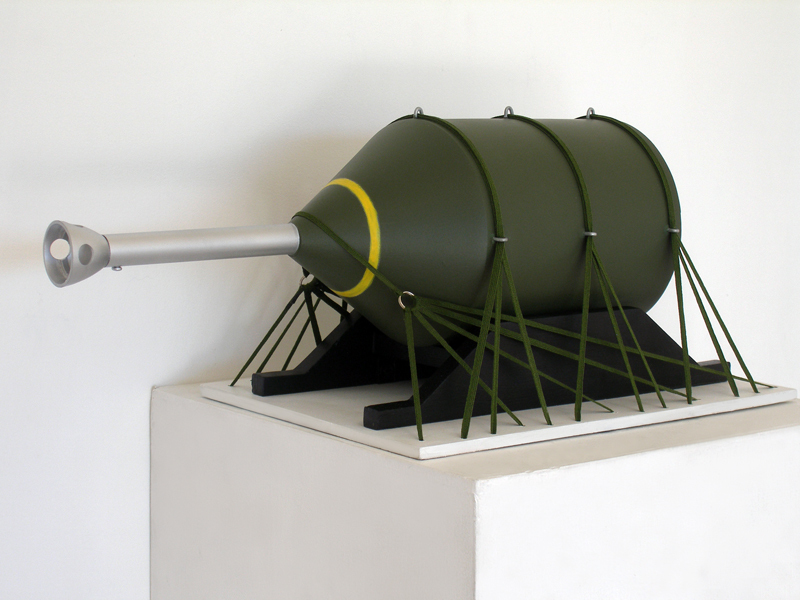 The Daisy Cutter seeks to maximize the implosive impact of bomb technology. Traditionally, bombs lodge in the earth before exploding thus dissipating their full destructive potential. With a makeshift fuse welded into the nose cone, once this fuse makes contact with an object, the bomb explodes above ground ensuring maximum damage. 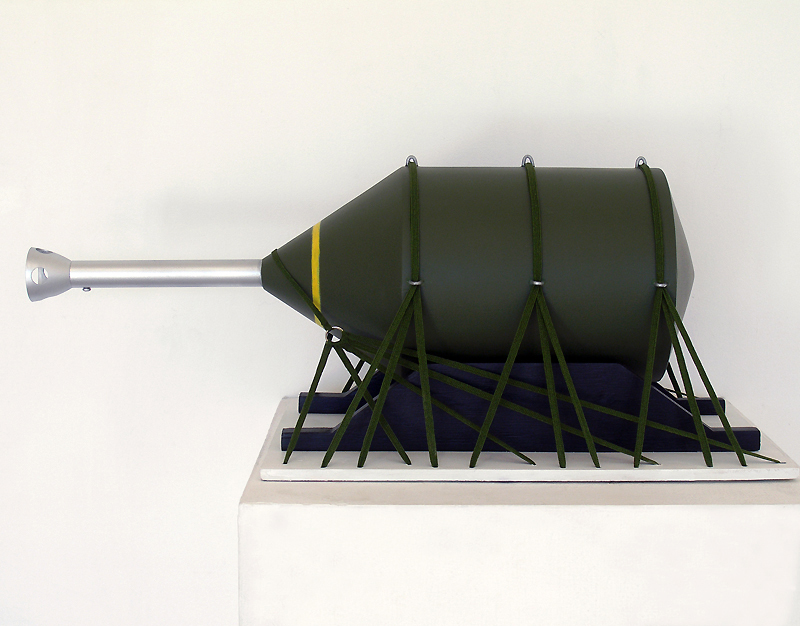 This particular piece, in the guise of a scale-model of the Daisy Cutter, hints at the paradox and self-deception of the greater military-industrial complex, while considering the Daisy Cutter’s potential identity as a mere ‘sculpture’.